On October 10, 2014, I’ll be releasing a short piece of fiction on Smashwords. 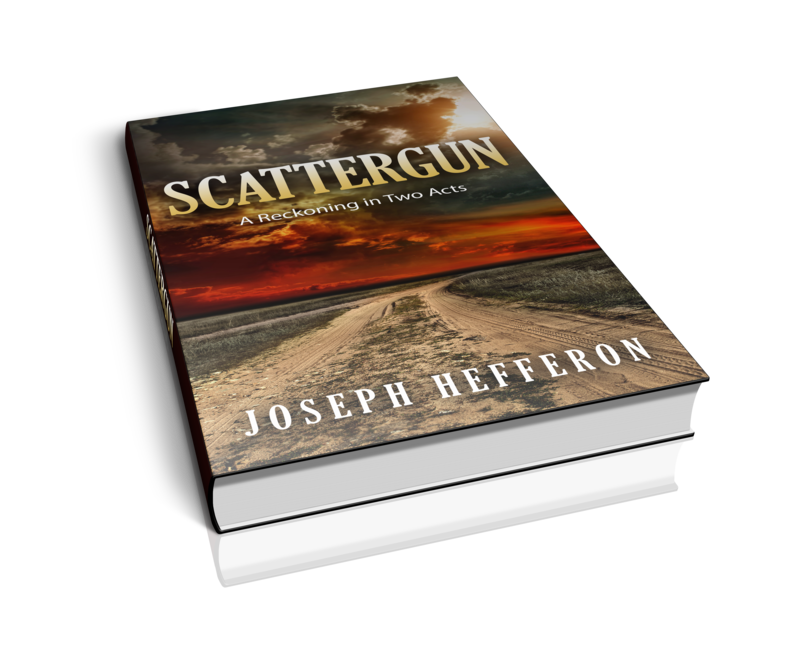 Scattergun is a tale of violence, a glimpse at a fractured mind on the loose in the rural west in the war years of the 1940s. It’s not a vision of hope in man’s inherent goodness, if that even exists. It’s a story based in the truth of depravity, the one we shut out. We call for justice, but what we really want is to feel safe. Despite our misgivings about dealing harshly with frightening acts committed at the impulses of unsound minds, sometimes it takes a violent man to confront violence, regardless of its absence of malice, if only to stop the menace so we can feel secure in our bunks. Scattergun is raw but not gory, stark but stained with color. It’s written in a voice I’m unaccustomed to writing in, an homage to the poetry of Trumbull Stickney, Cormac McCarthy and Sydney Lanier, an earthy yet thoughtful vernacular.